Is Brink’s Company (BCO) A Good Stock To Buy? Is Brink’s Company (NYSE:BCO) a safe investment today? The best stock pickers are becoming less confident. The number of long hedge fund positions were trimmed by 1 recently. BCO was in 23 hedge funds’ portfolios at the end of September. 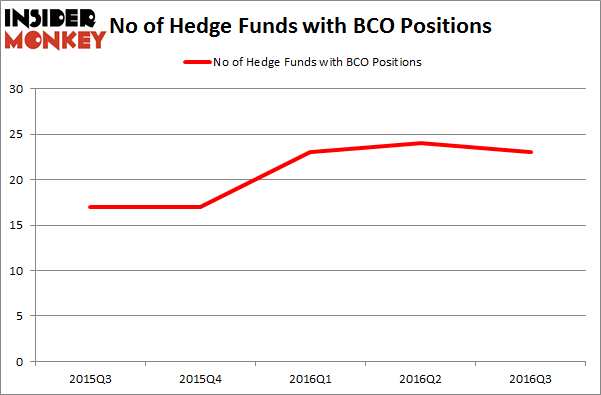 There were 24 hedge funds in our database with BCO holdings at the end of the previous quarter. At the end of this article we will also compare BCO to other stocks including Federal-Mogul Corporation (NASDAQ:FDML), Waddell & Reed Financial, Inc. (NYSE:WDR), and MRC Global Inc (NYSE:MRC) to get a better sense of its popularity. With all of this in mind, we’re going to take a look at the fresh action encompassing Brink’s Company (NYSE:BCO). How have hedgies been trading Brink’s Company (NYSE:BCO)? At the end of the third quarter, a total of 23 of the hedge funds tracked by Insider Monkey were long this stock, a drop of 4% from one quarter earlier. With the smart money’s capital changing hands, there exists a select group of notable hedge fund managers who were boosting their stakes considerably (or already accumulated large positions). When looking at the institutional investors followed by Insider Monkey, Jeffrey Smith’s Starboard Value LP has the number one position in Brink’s Company (NYSE:BCO), worth close to $169.8 million, corresponding to 4.6% of its total 13F portfolio. Sitting at the No. 2 spot is Mario Gabelli of GAMCO Investors, with a $77.1 million position; the fund has 0.5% of its 13F portfolio invested in the stock. Other members of the smart money that are bullish include Dan Friedberg’s Sagard Capital Partners Management Corp, John W. Rogers’s Ariel Investments and Glenn Russell Dubin’s Highbridge Capital Management. Is Rite Aid Corporation (RAD) Worthy of Your Portfolio? Is Johnson Controls International plc (JCI) a Good Stock To Buy? 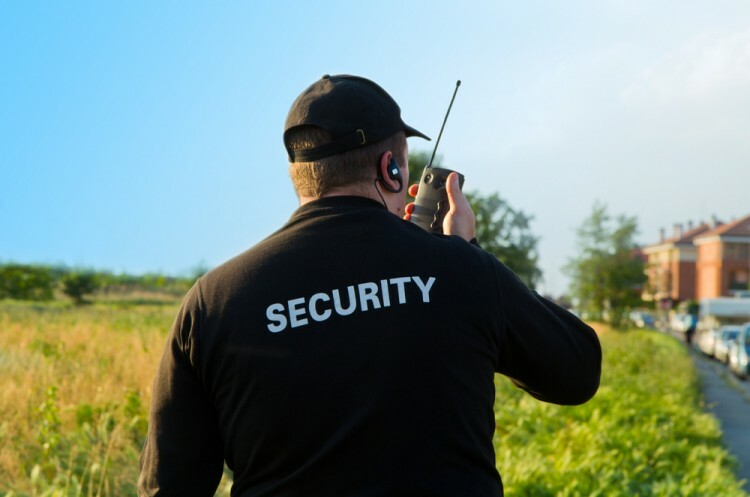 Does F5 Networks, Inc. (FFIV) Represent a Good Addition to Your Portfolio? Should You Buy Eli Lilly & Co. (LLY)? Here is What Hedge Funds Think About Danaher Corporation (DHR) What Smart Money Thinks About The Walt Disney Company (DIS)?